MSR Camp & Hike Rendezvous 120 Wing Amber 10825. Available in two sizes this uniquely designed extremely stable shelter lets you set up a protected communal area at camp. 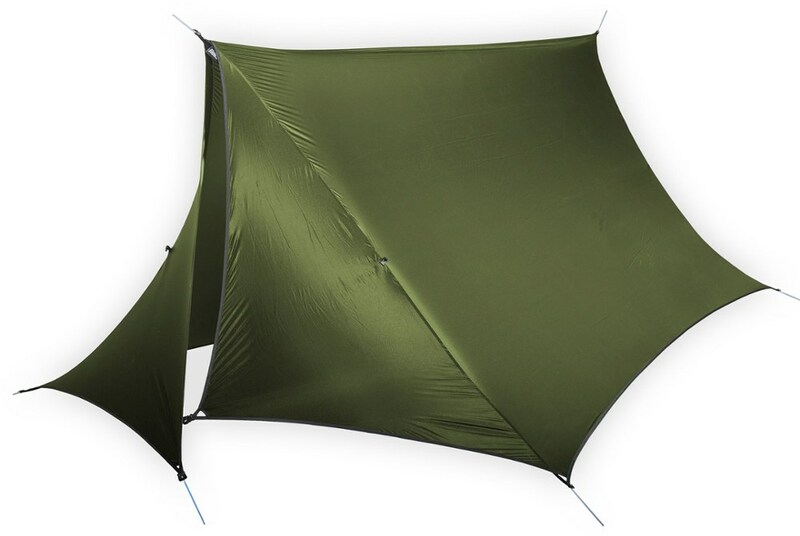 The 120 version creates a 120-square-foot open area around campsites that offers protection from sun rain and wind for 1-4 people and at 1.43 kg (3 lb 3 oz) its light enough for one person to pack and carry even into the backcountry. 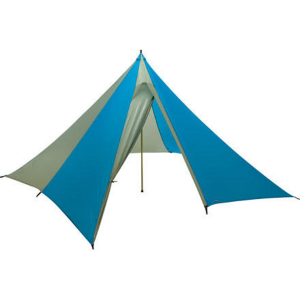 With its more expansive 200-square-foot wingspan the larger size is the ideal upgrade to your basecamping experience and perfect for sheltering up to a dozen people. 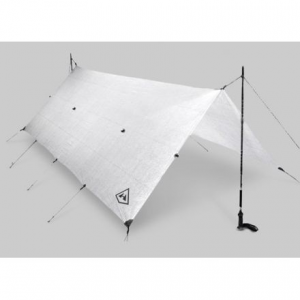 Updated with a UPF rating of 50+, the MSR Rendezvous Sun Shield 120 Wing shelter supplies 120 sq. 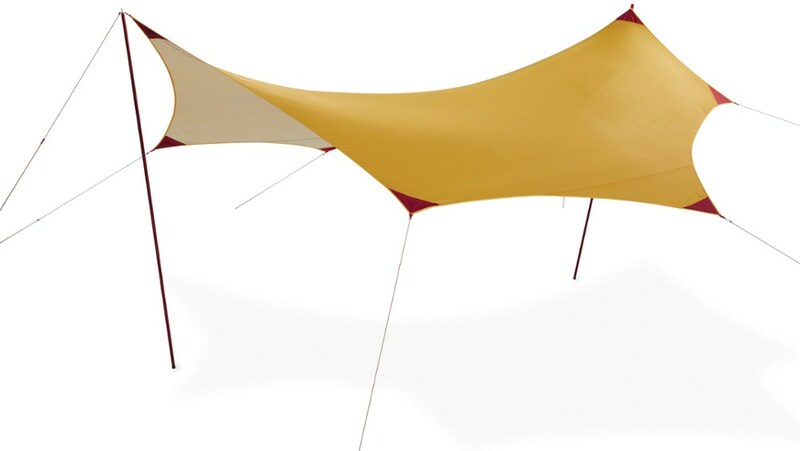 ft. of sun, wind and rain protection at campsites and gathering areas. Instead of hiding in your tent, set up MSR's Rendezvous Sun Shield Shelter in the rain and continue to enjoy the great outdoors. The shelter's PU-coated ripstop bounces rain right off it, so you and three others can enjoy the rain's fresh smell and peaceful patters. Seven Groundhog stakes ensure a stable setup, and you can leave the two aluminum poles at home for lighter backpacking trips. 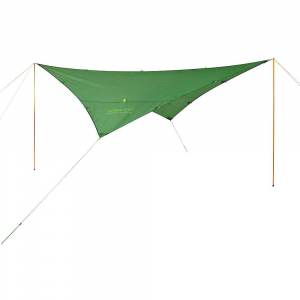 MSR Rendezvous 120 Wing Tarp Shelter - The uniquely designed, extremely stable MSR Rendezvous 120 Wing shelter lets you set up a protected communal area at camp. Create an open area that offers protection from rain, wind and sun. 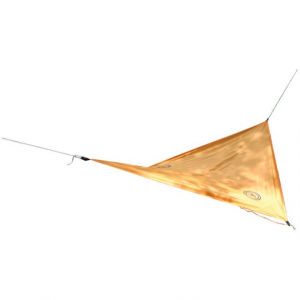 The Rendezvous Wing is light enough for one person to pack and carry, even into the backcountry.